Another 1k+ increase would be nice. I'd like to see 15k actual people there. That USF game had a huge crowd and it was an awesome experience. According to the NCAA website FBS attendance for FAU. Steady increases with a HUGE jump from 06 to 07. And all of this having to drive 30 mintues for a home game. All those years the Miami Hurricanes sucked too. They play same time we do and they are showing signs of being good. People are going to choose to stay home to watch that game unfortunately. I think there is a correlation there too, when there's a UM home game in the past we always seemed to have less people. Only 45,000 people (looked like less on TV) were at the last Miami home game. 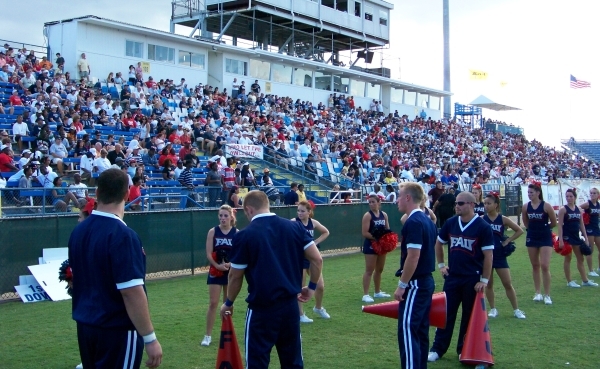 FAU attendance tonight was VERY disappointing, especially for a home and conference opener. But the crowd that did show up was very inspired and made a lot of noise. 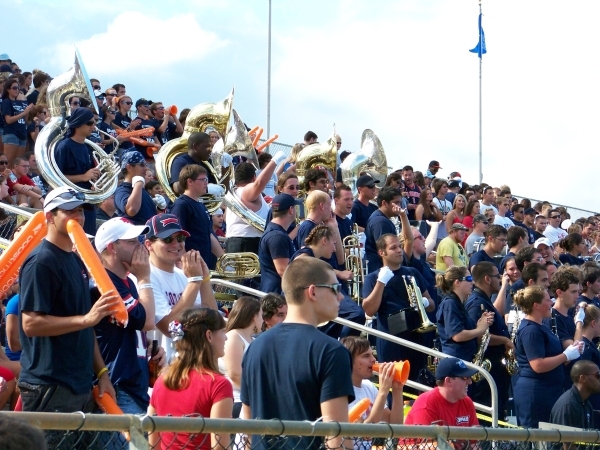 The students pretty much filled the west end zone and were good for the team. But again the stadium looked empty because FAU insists on keeping the students out of the north sideline, apparently favoring empty seats that look So good in pictures. Exactly. Now that we're 0-3 and played like garbage in our first home game, I would be surprised if we get half as many people for Wyoming as we did today. Official attendance was 14,429. There's no way there were 14,429 people in the stands. Maybe 9,000, that's all. 14,429? Sure we had that many… and Rusty Smith looked good too. Haha. There wasn't 8,000 there.